IMPORTANT UPDATE: Before you can request for payout, you will need to verify your identification first. Please read this article about I.D. verification. Here’s how to withdraw your commissions. make sure to login inside your Unity Network account here. Step 1: Go to Business Central and click My Income. 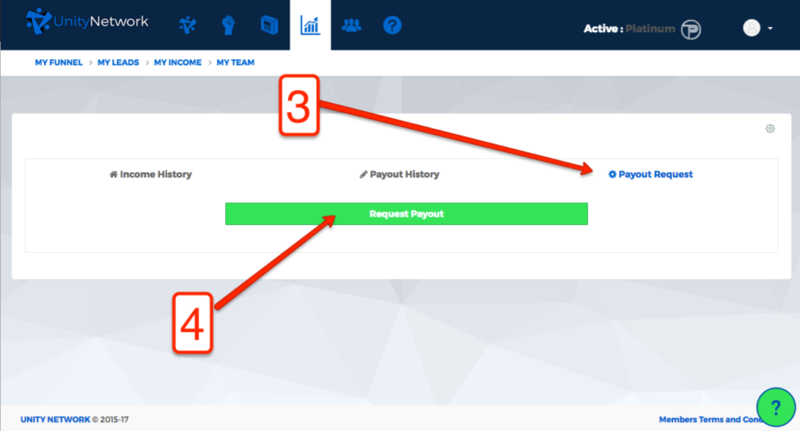 Step 2: Click Payout Request Tab and then click the Request Payout button. Step 3: Choose where you want to receive your payout by filling out the form. 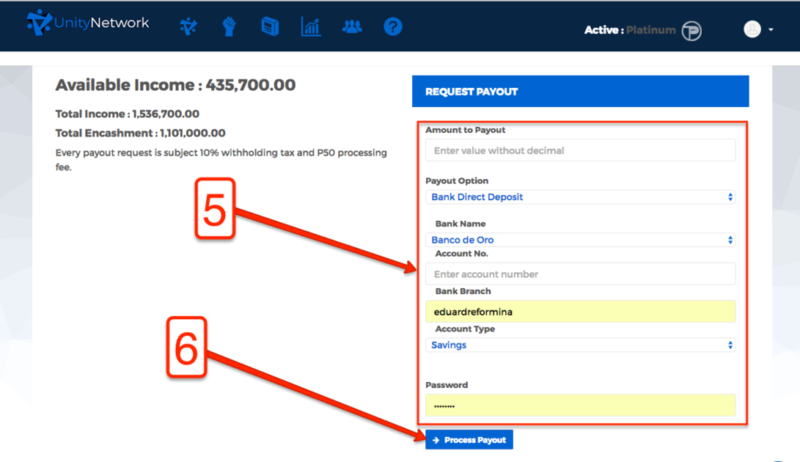 Double check your details and enter your password then click the Process Payout button. Your payout request will be processed on the same day if you requested before the cutoff period which is 11:00 AM. Otherwise it will be availabel the next follow working day. *DISCLAIMER: From time to time, it’s possible to have delays in processing payout. Delays can range from couple of hours up to 24 hours. This is due to bank’s delay in processing. Rest assured your earnings will be processed and will be credited to your chosen payout account. NOTE: All commissions are subject to 10% witholding tax. sana maging successful din ako tulad ng mga ka member ko.